In using this website, you are deemed to have read and agreed to the following terms and conditions. 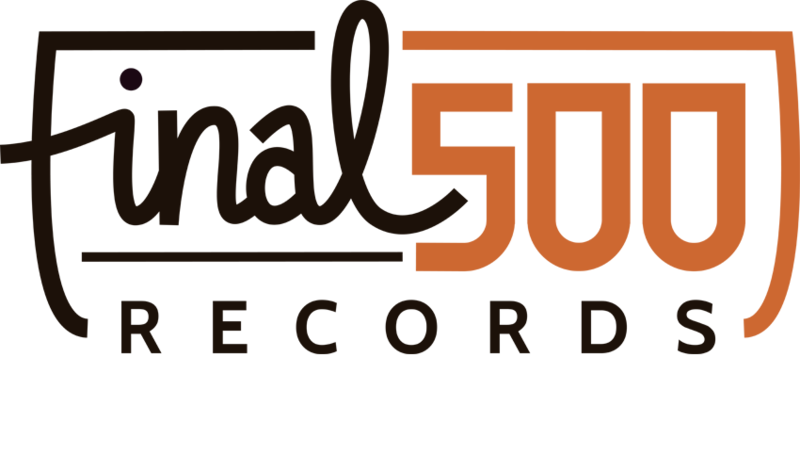 In case you have any questions or uncertainties, please reach out via info @ final500records .nl. Final 500 Records: us. Final 500 Records V.O.F. based at Burgemeester van Walsumweg 86 in Rotterdam. Also: Harm de Kleine and Bas Bosboom, the two and only shareholders behind this initiative. You / your / yours: the customer / person using this website. Membership: a Final 500 Records membership. The agreement between you and Final 500 Records, wherein we are allowed to send you a maximum of four vinyl releases per year. In addition, we are entitled to withdraw the membership fee per record (€19,95 + a fee for shipping) from your bank account / paypal account / creditcard. Article 2 | Who are we? Client records are regarded as confidential and therefore will not be made available to any third party, other than Final 500 Records VOF. Clients have the right to request sight of, and copies of any and all client records we keep. You are expected to pay for single releases right away, either via PayPal or Creditcard. Please note than the membership-fee (the price per release + a fee for shipping) will be deducted from your bank account / paypal account or creditcard prior to delivery. Final 500 Records will not increase prices of memberships without notifying you, as a member, up front. In case we decide to increase prices, you will have a change to cancel your subscription at any time. You can return any record (single purchase) within 14 days without telling us the reason. This 14 day period starts the day you have received the product. Products (both vinyl and sleeve) should be returned to Final 500 Records VOF as new, in the original packaging. Shipping costs in order to return the product shall be paid by the customer. In case that you want to use your right of cancellation, you shall notify us by e-mail, social media, phone or other means within the first 14 days after having received the product. After we have successfully received the products, in a state as new, Final 500 Records VOF shall refund the full amount minus the shipping costs. In case you want to terminate your membership with Final 500 Records, please notify us by e-mail, social media or any other written or electronic means. Final 500 Records VOF will confirm to have received your request for termination. After your request has been received, you will always receive one new release. An example, when you terminate your membership after having received release #4, you will still receive and be charged for release #5. After having received release #5, your membership will be cancelled.